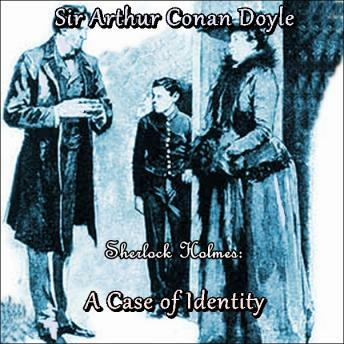 "A Case of Identity" is one of the 56 short Sherlock Holmes stories written by Sir Arthur Conan Doyle and is the third story in The Adventures of Sherlock Holmes. The story revolves around the case of Miss Mary Sutherland, a woman with a substantial income from the interest on a fund set up for her. She is engaged to a quiet Londoner who has recently disappeared. Sherlock Holmes's detective powers are barely challenged as this turns out to be quite an elementary case for him, much as it puzzles Watson.